The punch has two tart elements: whole tamarind pods and flor de jamaica (hibiscus flowers), which are mellowed by the sweetness of the guava and piloncillo. The cinnamon and brandy give a woody depth, and overall, it’s a satisfying drink to warm you up on a cold night. And of course, it’d be perfect to serve for your posadas. 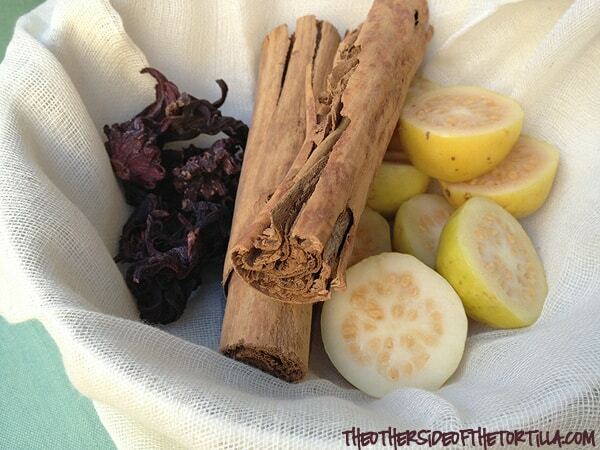 Add the water, tamarind, piloncillo and brandy to the slow cooker and submerge the spice bag. Turn the slow cooker on high and put the lid on. Cook for 2-2 1/2 hours, stirring periodically. Turn off the slow cooker and ladle into mugs. 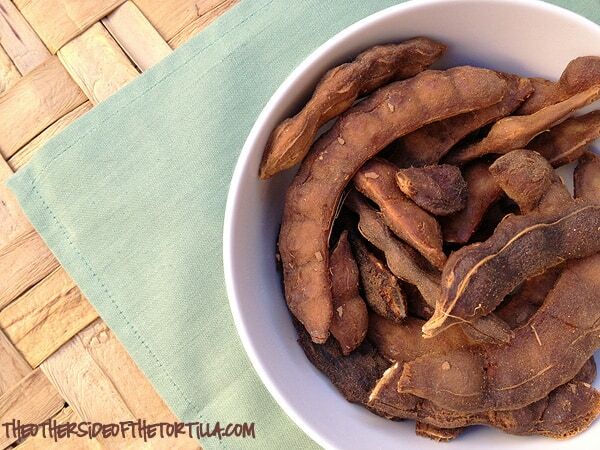 You can discard the tamarind pods at the bottom of the slow cooker or use them for something else. Yields about 7 1/2 cups. Do you have a favorite way to use tamarind around the holidays? Ooohhhhh I don’t think I’ve had Tamarindo before. But I like all the other ingredients – this makes for a perfect toasty pick me up on a cold winter night. Tamarindo is my weakness! I must try this recipe during the holidays. The Guayabas are a nice touch. They always remind me of my family crossing back from Juarez to El Paso. We had to eat an entire bag full of guayabas before we got to the crossing gate because we weren’t allowed to cross them over. The problem with that was that they are so fragrant that every time we crossed the border we would get searched because customs could smell them on us. They were so good, they were worth the search every time. I love tamarindo! This sounds yummy and definitely different from other holiday drinks I’ve tried. What the world needs is more tamarindo! This is such a great recipe and one I’ll be trying over the holidays. Thanks! That looks great! I love anything made in the slow cooker. I just scratched this recipe into my brain…. sounds perfect. A must make this holiday season or as soon as I gather all the ingredients…. LOVE THIS MAURA! Yummm! I LOVE Ponche de Tamarindo! It’s the one thing I look forward to most on Nochebuena. My concuña makes a BIG pot of Ponche de Tamarindo each year for Christmas, with all kinds of yummy fruits and pecans. And for the grown-ups, she adds a whole bottle of tequila. 🙂 I just love how festive the combination of tamarind, cinnamon, and guava smells. Just like Christmas! 🙂 Ya se me antojo, Maura! I love tamarindo! 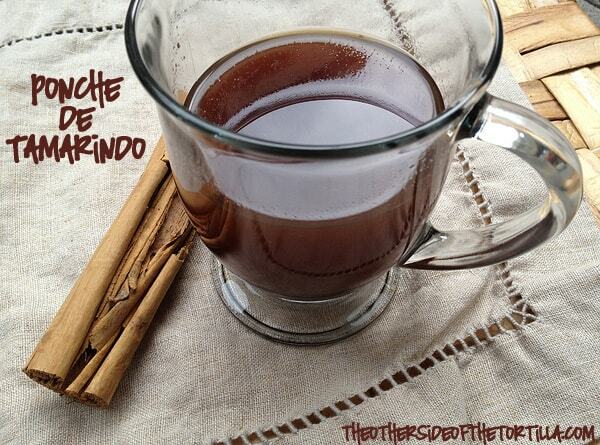 and have some ponche de tamarindo suena delicioso!! !